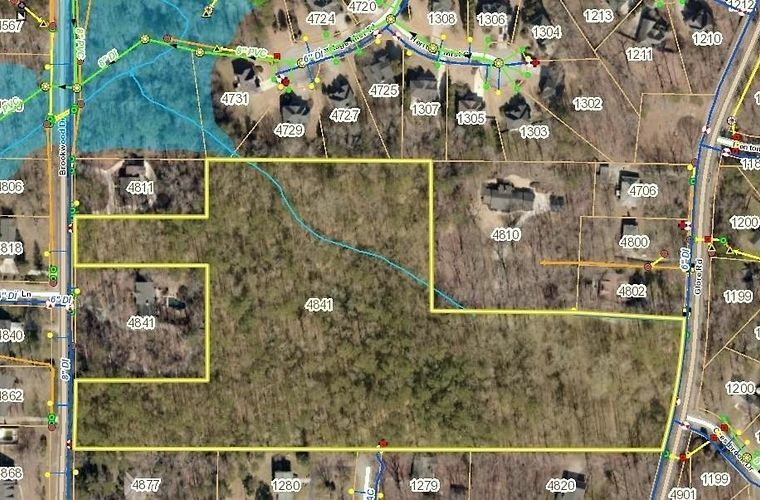 *** Small Builders Subdivision *** 11.97 acres of wooded raw land. Zoned R-20 with all utility avail along Brookwood. Lots have road frontage on Brookwood, Glore & Bellemeade Cir. There are 7+ active new subdivisions within 3 miles selling at $150-120/sf and over 300 developed lot prepped in the area. Survey, Topo and Sewer/Water locations maps. New Const sales est. $325-400K. 1 Mile from Silver Comet Trail, 25 mins from Atlanta, 20 mins from Marietta Sq, 6 min from shopping @ E/W. One of the most desirable placed to build in South Cobb. Ample frontage on 3 roads.